The summer of 2018 wasn’t too shabby, right? But aren’t those dwindling rays of sun starting to feel ever more distant, more like a dream than a true memory? If you’re anything like us, you’ll be reminiscing over sunny days spent at the local trails, and post-work rides that redefined how best to spend your evenings. With winter holding us in its vice-like grip, there’s a sense of fear raging. What’s life like after a summer like this? While some riders may flee the cold and go south to weasel out the final dregs of sunshine, most are likely stuck at home, shedding a lonely tear while giving their bike its final clean before it goes into enforced winter hibernation. There are just a handful of months separating you from springtime. In the meantime, have you thought about skiing, sledging, crochet or model trains? Nope, me neither. What about online? With a legion of games and applications waiting to dish out that virtual adrenaline fix, we’ve done the hard graft of ploughing through the 70-plus available games and selected the highlights. Four games made it through to the final round, and this selection merits sacrificing precious megabytes on your phone or investing just a few euros. Intuitive and a whole lot of fun to play. Channelling a 2D Mario Bros jump’n’run style, this game has 100 trails, which can be repeated time and time again. The aim is to either beat the clock or ratchet up points with stylish airtime. Be warned, there’s a high risk of addiction, as each time you pull off the game’s lifelike tricks and combinations. From flip whips, to trucks or supermen, you’ll get that adrenaline flooding through your veins. The difficulty level escalates as you move through the levels, so you’ll always face a challenge. Super entertaining and it doesn’t cost you a damn penny (although if you’ve got small change to burn, there are a number of ways to cheat). Despite its dated gameplay and graphics, we can’t help but feel nostalgic for this downhill game. It deserves its place on any phone or tablet. The POV visuals are a great break from the norm, and you’ll carve down some sweet-looking trails with the nice tilt-view function. Nice, right? It isn’t easy to score a complete run without crashing, and we reckon you’ll be uttering more than just one profanity on each run. MTB Downhill is also unbeatable because you can play against your mates in multiplayer mode. Haters on the app store will wax lyrical about the excessive pop-up ads, but what’s that saying about looking a gift horse in the mouth? Insane! Ever wondered how Sam Pilgrim knocked out his remaining teeth? Check out Shred 2! for the answer! A seriously good game requiring razor-sharp reactions and coordination that will truly keep you on your toes. Anyone with sloth-like reactions isn’t likely to make it past the first level, we’re afraid. But those with the skills will get to engage with Sam on some sublime lines – even pixelated, we wouldn’t turn these down. 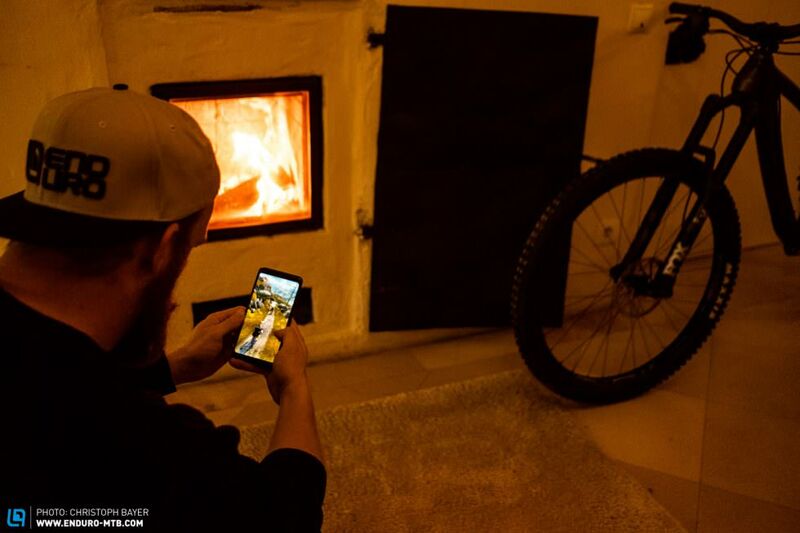 The game has more than 40 trails, ranging from big mountain to downhill, to slopestyle. However, quality costs and this Google Play game requires you to part with € 3.49. 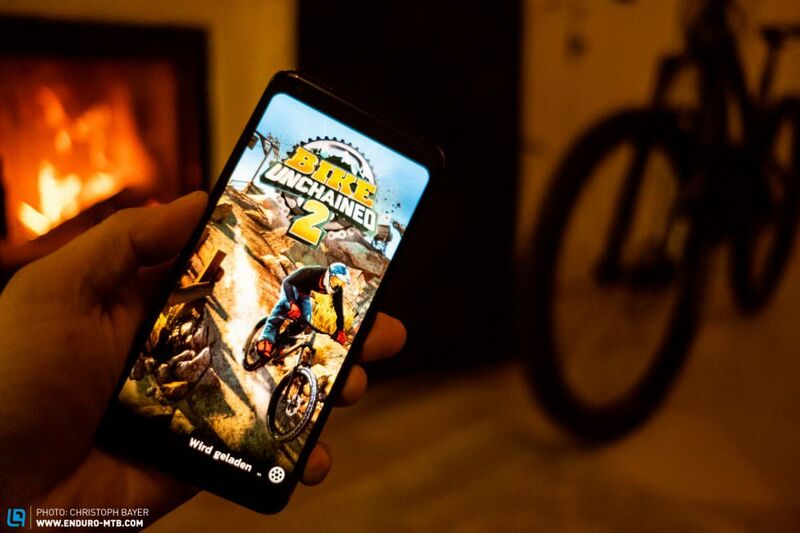 Unlike most in-your-face Red Bull propaganda, Bike Unchained 2 is pretty understated, which is what makes it so damn good. Realistic graphics will make you feel like the air is rushing past your face while riding. The first few rounds are quite straightforward, as you can simply rapidly tap the screen as you race some fairly sleepy downhills. Even my 82-year-old grandma can manage it! But don’t get complacent, you’ve got the big slopestyle rounds coming up. Red Bull hauled 16 of its best riders into action for this game including Aaron Gwin, Andreu Lacondeguy and Brandon Semenuk, who act as coaches. They bring added steeze to the game. The push for semi-constant upgrades and offers of virtual currency are a bit of a drag, but if you manage to tune them out it’s worth it. After all, you can use your own self-earned upgrades and hard-won sponsorship deals to build your dream bike that could well be a decent reflection of what you’d love to ride. Let’s play! These games may well be a lousy replacement for an all-expenses-paid winter riding trip to La Palma, Madeira or New Zealand, but they do provide a nice amuse-bouche whilst waiting the 2019 season. Head over to your regular app store to see what else is on offer, but we’d recommend steering clear of the promising-looking Virtual Reality – Downhill Racing. Seriously, we’ll be using hoverboards to get around town before anyone brings a free virtual reality mountain bike game that’s halfway decent into existence. Give equally as wide a berth to ‘Mountain Bicycle Rider 2017’. Yawn-inducing unless you’re into pedalling down a poorly pixelated tarmac road. For a good giggle, check out the trailer for MTB Professional Downhill Cycling. The icon depicts an adrenaline junkie on a beach cruiser shredding a ramp. Enough said; we’ll stick to crocheting. The boys have been very busy giving the entire course a refresh and testing some of the features.